Big love to feel better! 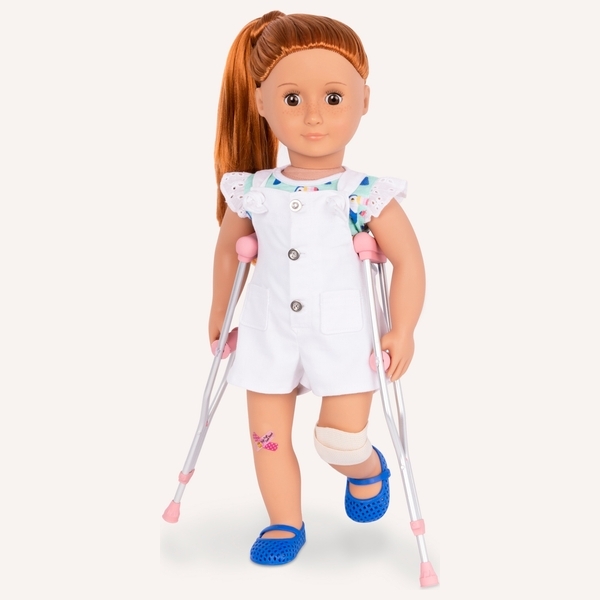 Even though this doll is healing she looks cute while doing it! This set includes 1 top, 1 pair of overalls, 1 pair of shoes, 1 pair of crutches, 1 fabric bandage, and 2 cards of adhesive bandages. Doll sold separately.